Sheikh Mujib’s life really then began to ripple out around the globe. He set off an atomic political bomb on 7th March in 1971 and that will be felt in the years to come. Joy Bangla (Victory of Bangladesh). Bangabandhu Sheikh Mujibur Rahman’s speech of 7th March 1971 focuses on the aspects that transcend Bangladesh’s history. It is considered to be one of the greatest speeches of the 20th century and thereafter. It is a landmark oration that captures the essence of the triumphant culmination of the largely Bengalis independence struggle against the Pakistani regime in Bangladesh. Forty eight years ago, we made a tryst with destiny, and now the time comes when we shall redeem our pledge in full measure, but also very substantially. At the stroke of the midnight hour, when the world sleeps, Bangladesh will awake to life and freedom. A moment comes, which comes but rarely in history, when we step out from the old to the new, when an age ends, and when the soul of a nation, long suppressed, finds utterance. It is fitting that at this solemn moment we take the pledge of dedication to the service of Bangladesh and her people and to the still larger cause of humanity. In March 1971, the visual modality of independent national sovereignty for people of this land became politically dominant allele. So, 7th March in 1971 was a defining moment for Bangladesh’s people and for Bangabandu as well. By this time people knew there were overwhelmingand special situation happening…it was definitely a defining moment in Bangladesh’s history. The all Pakistan based National Election in 1970 caused to bechance a landslide victory for Bangabandhu’s political party, Awami League, under his able and potent leadership and he turned out being the majority party leader in Pakistan. He could best help harness grass-roots outpouring of protest of anti-Pakistani establishment and anger into Bengali nationalism’s resurgence at the ballot box in that national polls. As a matter of fact, the Bengali nation needed a chair who could not only take the fight to the Pakistani monsters. We also needed a chair that could lead a turnaround and change the culture of this land. And Mujib successfully steered that chair. Bengali nation’s Founding Father BangabandhuMujib’s remarkable speech on 7th March, 1971 at Dhaka’s Race Course Ground (now SuhrawardyUddan) spoke of a delimitating moment of our history in mien of more than a million people with their earsplitting applause. The world of Bangladesh had changed after his speechification. It was the unmasking of an underlying evil that took an ugly shape in the 1971 War by the Pakistani oppressiveness. Only as the truth of the massacres, plots, and campaigns has revealed themselves as the Bangladesh’s provisional government truly begun to heal by defeating the savage Pakistani forces. Mujib’s address on that day was the defining moment in the history of Bangladesh. Let me repeat that it was the demarcating moment in the history of the Bangladesh’s world. A great man once said, “He was a man of his times. He was a man of courage, decency, moderation and vision – characteristics which should and usually do mark the nation he helped to find. Yes, he was a man of his times, he was a man who embodied the best of his times and may this country embody the very best” and he is our BangabandhuMujib. In any sense of datum, 7th March address to the Bengali nation is worthy of lengthy study as we can all learn speech delivering skills from Mujib’s historic masterpiece; and it is recognised as one of the best speeches ever given by any great world leader. If we look at what makes it so memorable: It is dramatically delivered ad-lib under the open sky amid more than a million of people. His words proved to be a touchstone for understanding the social and political upheaval of the time and gave the nation a vocabulary to express what was happening. He argued passionately and powerfully. Stylistically the speech has been described as a political treatise, a work of poetry, and a masterfully delivered and improvised sermon, bursting with revolutionary language and imagery. As well as rhythm and alliteration is a hallmark device, he used to bang home key points. The format is simple – always an aid to memorability! This is no time to engage in the luxury of cooling off or to take the tranquilising drug of gradualism. Now is the time to make real the promises of independence and democracy. Now is the time to rise from the dark and desolate valley of segregation to the sunlight path of justice. Now is the time to open the doors of opportunity to all of Bangladesh’s people. Now is the time to lift our nation from the quicksand’s of injustice to the solid rock of brotherhood. Sheikh Mujib’s life really then began to ripple out around the globe. He set off an atomic political bomb on 7th March in 1971 and that will be felt in the years to come. It was like tearing down a wall that might seem very heavy, but when you realise what all else came down with that wall, you begin to see it in a whole new light. When the wall came down on that day, it signified the final beginning to end the Pakistani oppressiveness and birth of the voice of the people en bloc to liberate the country. While the address has a very impregnable message for our people and hints at revolution, his words are mostly about peace, offering a vision everyone could buy into. At the end of the speech, he brings in a unifying passage themed around freedom with singing with a new meaning of a land of the people’s pride, from every everywhere, let freedom ring. When we let freedom ring, when we let it ring from every village and every hamlet, from every corner of the country, we will be able to speed up that day when all of our people, will be able to join hands and sing in the words of Bangabandhu. The speech was the remarkable emotion of Mujib’s delivery in terms of both voice and body; it was a fervent emotional sermon, forged out of the language and spirit of independence and democracy. 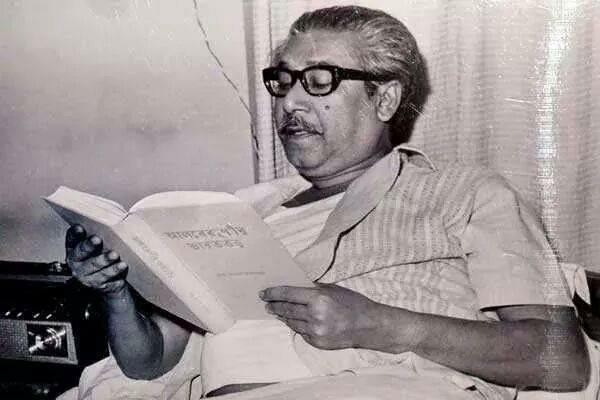 Bangabandhu’s mastery of the spoken words, his magnetism, and his sincerity raised familiar platitudes from cliché to commandment. His thunderous voice spread like an electrifying speed among the people. We can tell today, all people could see was a speck and they listened to it. A smattering of applause filled a pause more pregnant than most. The speech's appeal lies in the fact that, whatever the interpretation, it remains the most eloquent, poetic, unapologetic and public articulation of that victory. The tone is both informative and argumentative. Moreover, it is descriptive. The ideas are very sincere. His style is unique but very easy to discuss. His use of ornamentation or embellishment is made possible through heavy uses of the anaphora. His words are very hopeful and deliberate. He is very conscious of his audience, and he is very commanding of his wording to avoid hurting his credibility with this audience. However, he takes the right kinds of chances rhetorically. I believe that this speech is one of the best works that I have had the chance to personally hear and read in the pages of history. More importantly, he finishes the speech with a powerful metaphor of a bell ringing, pronouncing "every house to turn into a fortress. Face the enemy with whatever you have…” In the song, and in his speech, the ringing of the bells is meant to signify the echoing of the sounds all across the country. Sheikh Mujib’s 7th March speech was a landmark event for people of Bangladesh as the Bengalis destiny was setaceous with it, but the Pakistani military junta refused to hand over power to Sheikh Mujib. Thus Bangladesh’s people were being deceived whenever they wanted power. The famous words of Confucius remind us, “Study the past if you would define the future.” Yes, we should. The Revolution of our people in 1971 was one of the greatest events in the world history. The history of the birth of Bangladesh as an independent country is the best example of the success of Bangabandhu’s speech. The narration of political facts, the process of relating them with emotion and the credibility of Bangabandhu also ask people to be prepared for the War of Liberation, every part of the speech tied together by strong rhetorical appeals, which allowed the message of the speech to persuade people of all ages and all classes. And people got the right message from him. In 1971, fervent choruses of "Joy Bangla" and "Amar Sonar Bangla" (My Golden Bengal) rang out together to evoke the beauty and strength of another Bengal, a new Bengal, whose people fought for freedom from Pakistan and established Bangladesh valiantly with all patriotism. In this month of March, we also need to understand the freedom struggle and to appreciate the contributions of all its architects, visionaries, beneficiaries and victims. Freedom and power bring responsibility. The past is over and it is the future that beckons to us now. That future is not one of ease or resting but of incessant striving so that we may fulfill the pledges we have so often taken and the one we shall take today. The service of Bangladesh means the service of the millions who suffer. It means the ending of poverty, ignorance, disease and inequality of opportunity. The ambition of the greatest man of our generation has been to wipe every tear from every eye. That may be beyond us, but as long as there are tears and suffering, so long our work will not be over.And so we have to labour and to work, and work hard, to give reality to our dreams. Those dreams are for our country, but they are also for the world, for all the nations and peoples are too closely knit together today for any one of them to imagine that it can live apart. Peace has been said to be indivisible; so is freedom, so is prosperity now and so also is disaster in this One World that can no longer be split into isolated fragments. To the people of Bangladesh, whose representatives we are, we make an appeal to join us with faith and confidence in this great adventure of establishing the true spirits of our glorious Liberation War of 1971. This is no time for petty and destructive criticism, no time for ill-will or blaming others. We have to build the noble mansion of free Bangladesh minus the anti-liberation forces and their mango-twigs where all her children may dwell in peace.Bangabandhu’s 7th March address in 1971 made a country - Bangladesh. The torrid month of March and his delimitating speech remind me the words of William Shakespeare (Romeo and Juliet): “thus with a kiss I die” ―, Joy Bangla, once again.